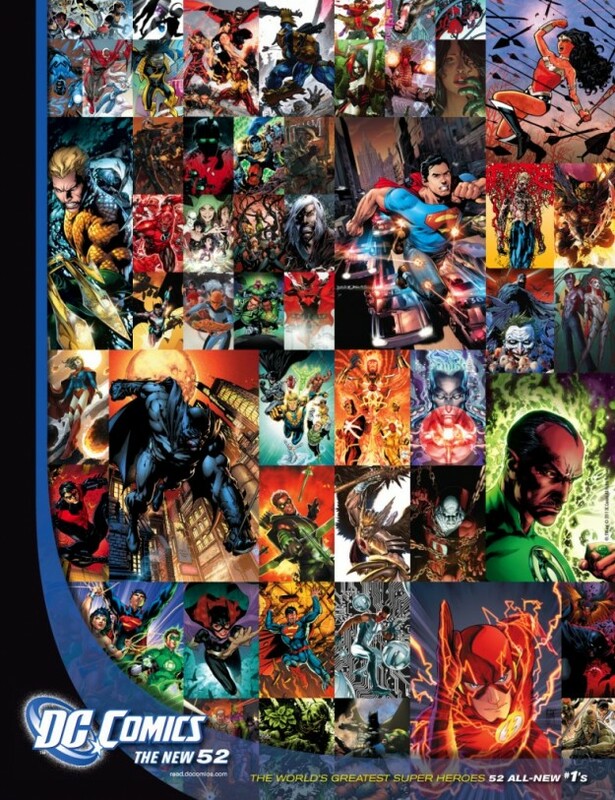 During September 2011, DC Comics took one of the biggest gambles in comic book history by canceling their entire line and relaunching it with 52 new titles. Each week in September, MLD took a look at what titles DC was shipping and placed our bets on which series we thought would be good. After the books shipped we also took a closer look at those series to see how our recommendations turned out. If you’re new to the DC Universe, these articles are the perfect resource to determine where to start with DC’s New 52. Last Wednesday, in recognition of the second full week of DC Comics’ New 52 promotion, I recommended the seven new DC titles that I thought were most likely to be worthy of your attention and your money sight unseen. Now that we’ve had a week to digest them, the question is how did I do? New 52 Week Two Predictions: How’d I Do? Last Wednesday, in recognition of the second full week of DC Comics’ New 52 promotion, I recommended the five new DC titles that I thought were most likely to be worthy of your attention and your money sight unseen. Now that we’ve had a week to digest them, the question is how did I do? DC’s New 52 Week Two – What to Buy This Wednesday! New 52 Week One Predictions: How’d I Do? Last Wednesday, in recognition of the first full week of DC Comics’ New 52 promotion, I recommended the six five new DC titles that I thought were most likely to be worthy of your attention and your money sight unseen. Now that we’ve had a week to digest them, the question is how did I do? DC’s New 52 Week One – What to Buy This Wednesday!